The way general Practice is working has changed drastically over the last few years, to give our patients the best possible care we have build up our clinical team with highly skilled practitioners which includes Doctors, Advanced Nurse Practitioners, Nurses and Muscular Skeletal Practitioners, to ensure you get to see the right person the Reception team need a brief overview of your problem so they can ensure you see the best person, some of our Doctors have special interests and by telling the receptionist what is wrong we would be able to ensure you see the right person. The surgery is run on an appointments system. We are a group practice and although you maybe registered with a named Doctor you can see any Doctor, some Doctors have longer waiting lists than others. We are extremely lucky to have three excellent Advanced Nurse Practitioner (ANP's) who see all our urgent on the day appointments. These highly trained and experienced nurse are able to prescribe and can deal with most urgent or on the day issues, this frees the Doctors up to see the more complicate or long tern conditions. If the doctor asks you to come back to the surgery for another appointment, please do not forget to make this appointment before you leave the surgery. As we are a training practice, we have, from time to time, either a GP registrar, medical student or student nurse for part of the year. You may be asked to see the registrar if your own doctor is unavailable. Should you wish to speak to a doctor a telephone consultation can be requested for you. Your name will be put on the doctor's telephone list and calls are normally made at the end of both morning and afternoon surgeries. The more information you can give the receptionist about the matter in hand, the more prepared the doctor will be when they ring you back. The Practice has a policy of offering all patients a chaperone when they are to undergo an examination – please inform the receptionist or the doctor if you would like to have a chaperone present. The full policy is available at the surgery. As a patient of this practice you may be entitled to use this service if a car is available. It is for those patients who have difficulty in getting to hospital for appointments. There will be a fee charged for any journey. We have a problem with patients booking an appointment then failing to attend it, this wastes the Doctor or Nurses time and wastes an appointment that another patient could use. We take a very dim view on patients abusing the system like this and will take action to have serial abuser taken off our list. Our Doctors only have 15 minutes per patient which is just enough time to deal with one problem if you have multi problems you want to discuss please book a double appointment, please see our leaflet "How to get the best from your appointment". If you are too ill to attend the surgery and require a home visit please telephone 523525 if possible between 08:30 and 10:30. This will help the doctors organise their visits. If you are able to attend the surgery, please do so as the doctors can see several patients in the surgery in the time it takes to do one visit. Please only call the duty doctor for emergencies. Your co-operation will be appreciated as unnecessary calls are a trial to the doctors. If you have had any blood tests or X-rays etc we would be grateful if you could wait until the afternoon to telephone us for the results. This is because the doctors receive a large number of these every morning and they need time to check them before they can be filed into your notes. 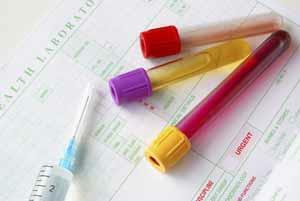 Most blood test results are available a week after the test has been taken. However, it usually takes about 14 days for any other correspondence, such as X-ray results or out-patient attendance letters, to be received. Confidentiality must be observed at all times. Therefore results will only be given to the individual concerned, rather than to another person requesting the result. When one of our receptionists insists on this, she is acting on instructions, not being awkward.